Customization Import failed. Error: Could not find stored procedure 'p_PublishMetadata'. In digging into the database in SQL Server Management Studio, I saw that this sproc and another called 'p_PublishLabelsByObjectId' were listed not as dbo owned like the rest of the stored procedures, but user owned (DOMAIN\Username.p_PublishMetadata, for example). (You'll get a caution about changing ownership that you can ignore.) Close SQL Management Studio and re-open it to verify that the ownership has changed (refreshing didn't work for me for some reason). Somehow, when this organization was imported, the ownership didn't get set correctly on these two stored procedures. Tip of the hat to Luke Rogers for the tip on changing ownership of stored procedures one at a time. 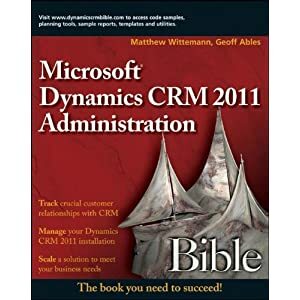 Environment: SQL Server 2008 Standard, Microsoft CRM 4.0 UR3 Professional with the original organization disabled, and a new organization imported.